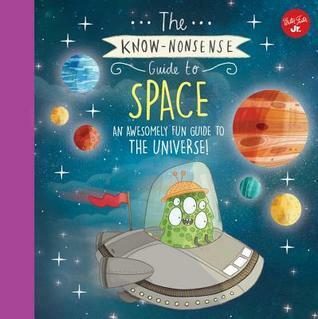 The Know-Nonsense Guide to Space is a fun introduction to the basics of astronomy for kids. It's full of brightly coloured cartoon illustrations but also a decent amount of information. It starts out with the solar system, introducing each of the planets, talking about what stands out most about them, and providing context like their relative sizes, and how long a day is on each of them. It then explains other related ideas like the life cycle of a star and talks about telescopes and human exploration of space. The Know it All Guide to Space is a fun picture book on astronomy, with a good balance of informative content and fun illustrations. It would suit readers aged about 8 and up. Disclaimer: I was given a complimentary copy of this book by Quarto Publishing Group, via Netgalley, in exchange for an honest review. The goal of the Basher Science series, which includes books on chemistry, biology, astronomy, rocks and minerals and microbiology, is to make science subjects tangible and relatable for young readers. The books contain a lot of information but are quite small (though chunky), making them a bit easier for smaller hands to hold while reading. The text is chatty and casual, and every page has illustrations. My one criticism would be that while anthropomorphic illustrations might work well in biology (little blood cartoon cells etc), it doesn't necessarily make things clearer in physics. If anything, weird little anthropomorphic personifications of, for example, mass or velocity, make things more confusing. 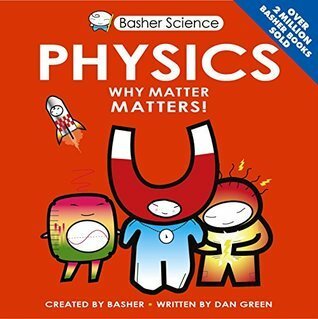 Basher Science: Physics has good explanations of basic physics concepts like the difference between weight and mass, set out in a fun, interesting way. It would suit readers aged about 9 and up. Outside: Exploring Nature is aimed at encouraging children to have a little less screen time and spend more time outdoors, playing, exploring and discovering. It takes simple things children can do and look at and expands upon them gradually, answering questions they might have. For example, on the topic of trees, it begins by suggesting that the reader might go outside and sit under, or even climb, a tree, then gets into explaining about trees- what makes a tree a tree, as opposed to a shrub, what its different parts are called and their function etc., different things human and animals use trees for etc. In addition to biology, this book touches on topics in geology and astronomy ("What is this stone I found?" "What are stars made of? "), all illustrated with beautiful, simple, pen and ink illustrations. This is supplemented with suggested activities like visiting your city's Botanical Gardens or creating a mobile from twigs and leaves. 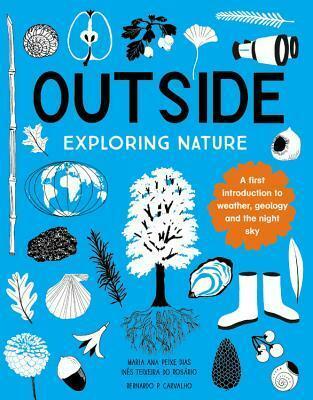 Outside: Exploring Nature encourages both outdoor play and developing an interest in different strands of science. It crams a lot of information into a short book but does so in a way that is accessible and engaging. It would be an excellent addition to a school library and a great gift for a child aged around 7-10 years of age. Disclaimer: I was given a complimentary copy of this book by the Quarto Publishing Group, via NetGalley, in exchange for an honest review. Why? To get kids excited about science!